We just wanted to remind you of the great share options we have to offer including produce, egg, milk, soup, kombucha and flowers! So what is a share or CSA (Community Supported Agriculture) It is a prepaid, convenient way to access fresh, local food on a weekly basis. (Duration/quantity vary by share. See below for more details). Why Sign Up for a Share?? 1. You receive a discount, and who doesn’t want to save money?? 2. It is more sustainable as it minimizes waste. 3. The assurance we will have your favorites available for you. 5. Ensures we always have the freshest products available to you as it helps to streamline ordering and efficiency! One of our most popular share options, summer produce & flowers! This is a 22 week share (flowers are 18 weeks) where each Tuesday or Thursday you pick up a bag of mixed fruits and vegetables. 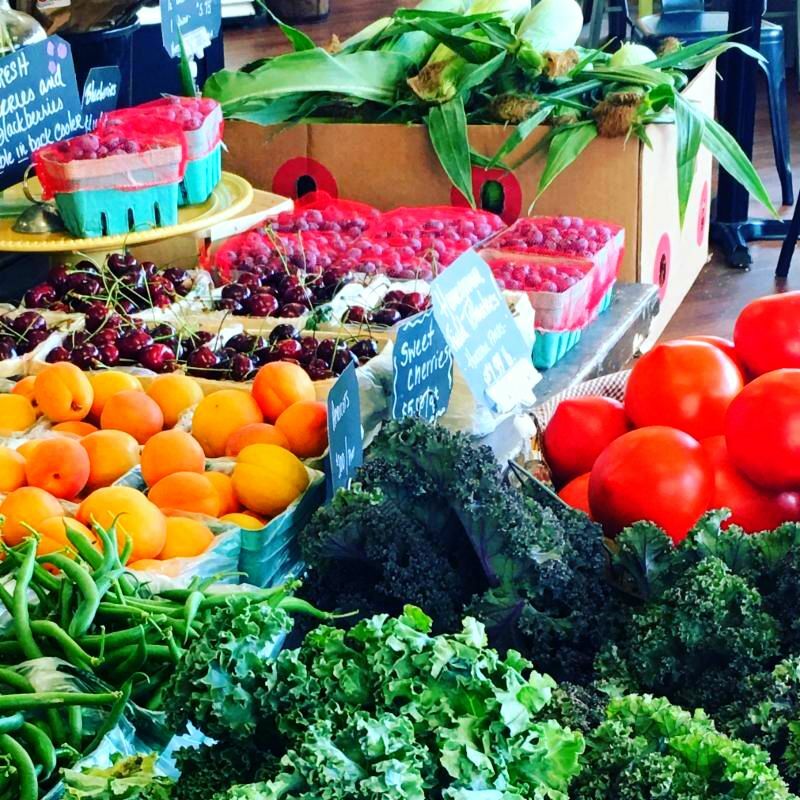 It’s a great way to support local farmers, eat delicious, fresh & healthy food! The share will run from June through early November (specific dates TBD). Sign-up soon so you don’t miss out! Click here for more Produce Share information! Click here for more Flower Share information! 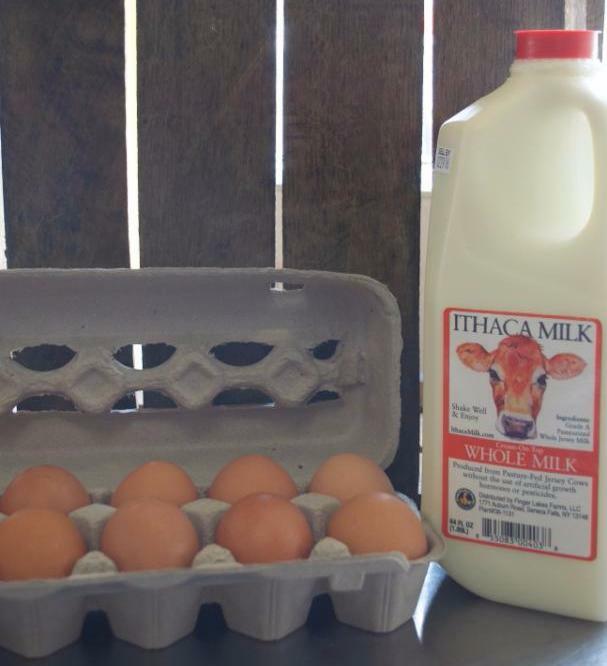 Our eggs & milk come from Ithaca, NY (eggs are available in dozen and half dozen options; milk is available in gallons, half gallons and quarts with whole milk and reduced fat options). The shares run for 13 weeks, and our next installment begins the week of April 23 with the first pick up on April 24 (milk is delivered on Wednesday mornings). Click here for more Egg Share information! Click here for more Milk Share Information! This is a rolling share so you can sign up anytime! 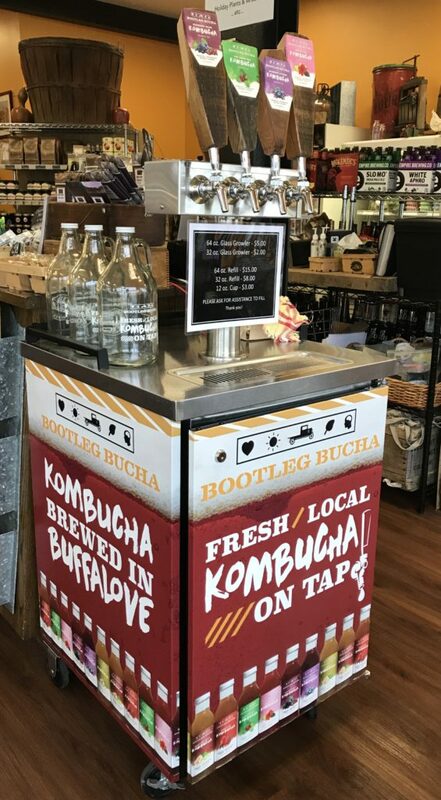 The share consists of 10- 32 oz kombucha refills from our Bootleg Bucha kegerator. We offer 4 flavors to choose at any given time, this includes the classics as well as seasonal options. Check out the links below for more information on the benefits of kombucha! Click here for more Kombucha Share Information! This is also a rolling share, it consists of 10-soup quart pick-ups. 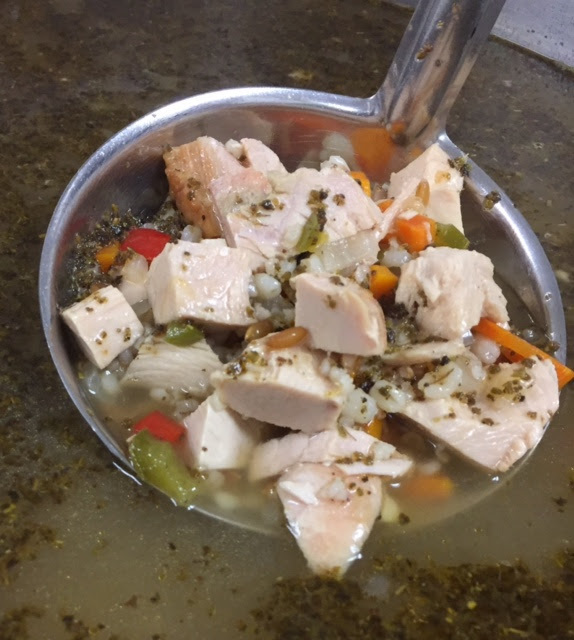 Our delicious housemade soups and stocks are made from scratch using local meats and seasonal ingredients. We offer 6-8 varieties, including vegetarian options. Click here for more Soup Share Information! Don’t forget our Spring Fling Drawing! Every purchase of $50 or more through the month of April will enter you into the drawing. Share deposits are an easy way to ensure you don’t miss out!